The Truth Against The World! Yet Monty Python said that he: “…was a drunken old fart” Still, he had a lot of good ideas & is considered the father of modern philosophy. So, do you completely trust your senses & the information they relay to you every single moment of your waking life? Let me know your thoughts in the comment section below. 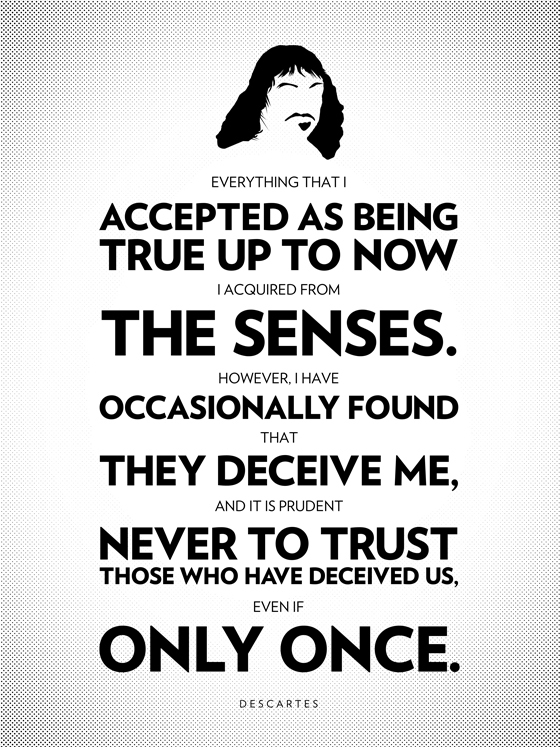 Tell me any of your experiences when your senses have deceived you. Join the conversation in search for Truth!